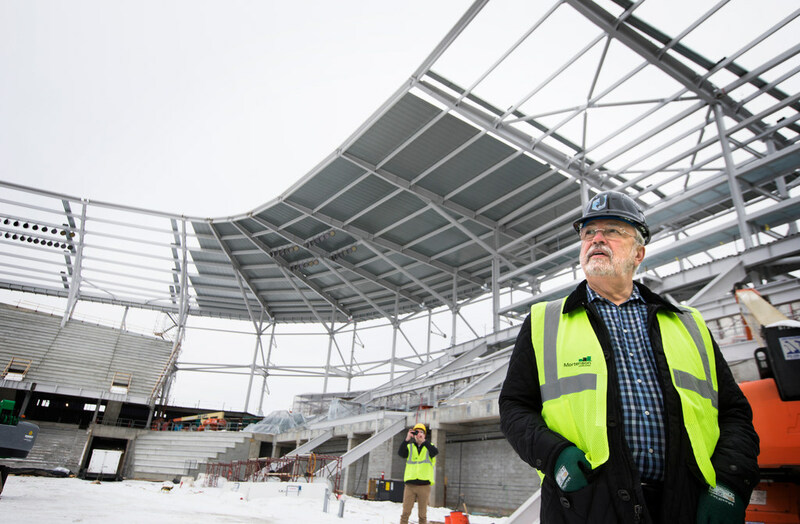 A major soccer match featuring the United States men’s national team is reportedly headed to St. Paul next June at Allianz Field, the new home of Minnesota United. A major soccer match featuring the United States men’s national team is reportedly headed to St. Paul next June at the new home of Minnesota United, Allianz Field. SI.com is reporting that the U.S. will play its Gold Cup opener on June 18, 2019 at Allianz. An opponent hasn’t been named yet, but United has a news conference scheduled for Tuesday afternoon. The match in St. Paul will be the first major U.S. men’s match since it fell disappointingly short of reaching this summer’s World Cup. Perhaps just as significantly, the Gold Cup match could be a test run of sorts. SI notes that Allianz could become the home of the U.S. vs. Mexico World Cup qualifying match held every four years. Landing that recurring match would be a huge gain for the new stadium, which is slated to open early next year in time for the start of the Loons’ Major League Soccer season, but getting the Gold Cup match next year is already a really good start.